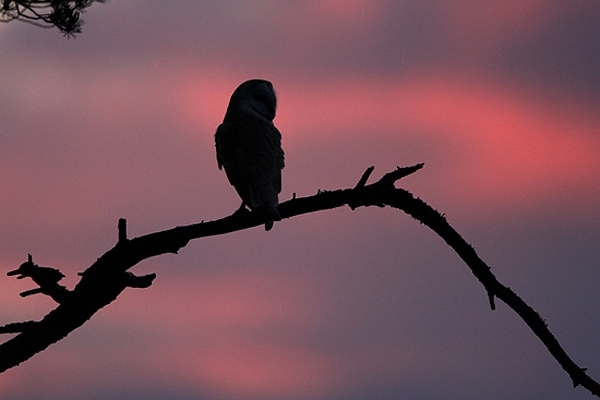 Home | Owls | Sunset silhouetted Barn Owl. Taken on Scottish Borders farmland,near Duns. Canon 1D Mk11N camera,500+1.4 lens,1/400 f5.6.